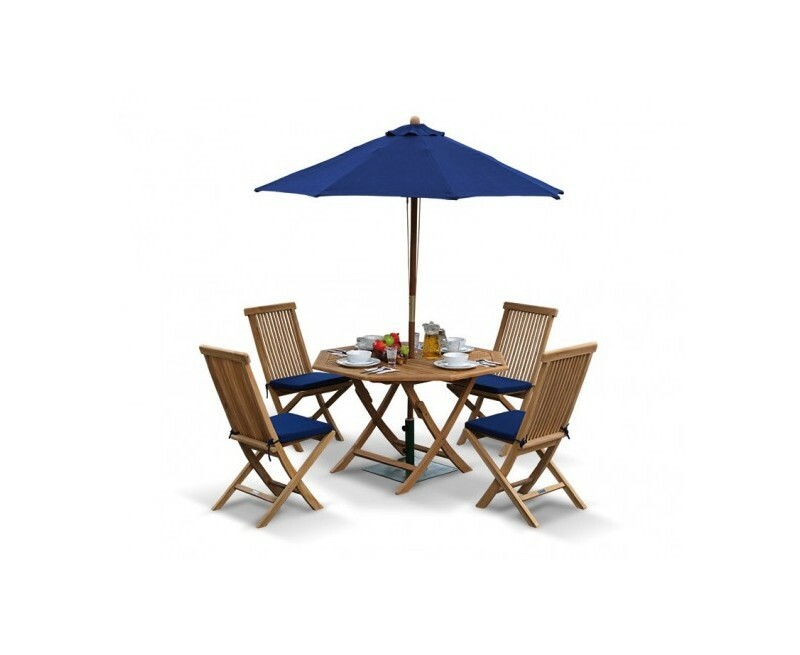 Our great value Suffolk 120cm octagonal folding garden furniture set can be easily incorporated into the decor of your patio furniture for al fresco dining at its best. 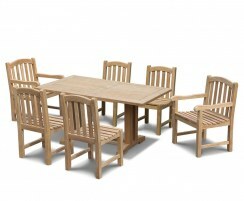 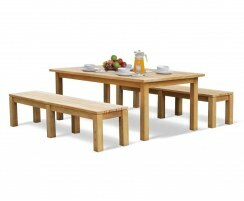 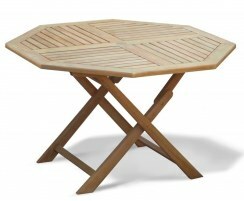 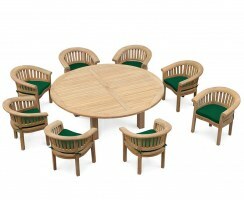 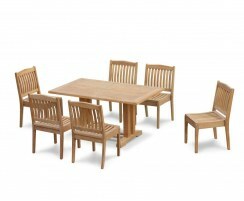 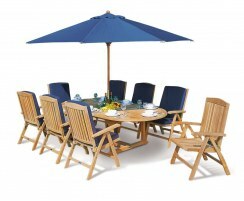 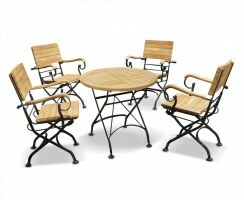 Enjoy the comfort of this garden dining set with your family and friends. 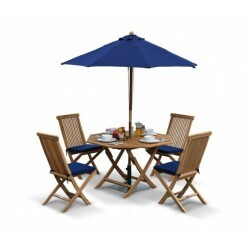 Featuring a clever folding design without compromising on practicality and style, this garden table set is sure to impress your guests. 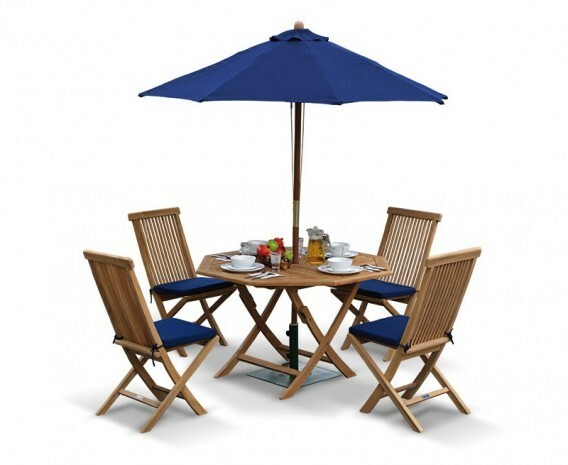 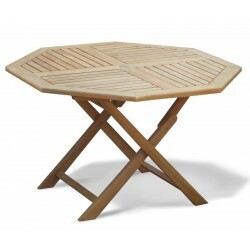 The octagonal table features a parasol hole with flush-fitting insert, and the chairs are delightfully comfy and robust even though they can be folded. 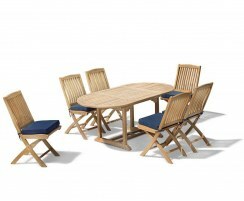 Robustly constructed from durable, sustainable plantation teak, this outdoor patio furniture set can be left outdoors year round no matter the weather, or folded away and stored should you wish to reclaim your space. 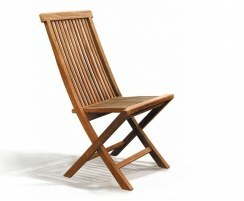 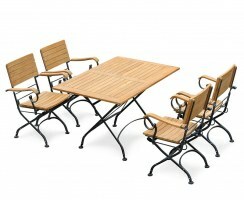 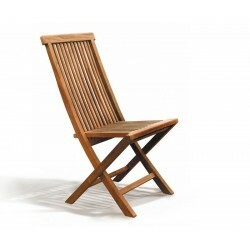 This folding garden furniture set will be delivered fully assembled for your immediate enjoyment. 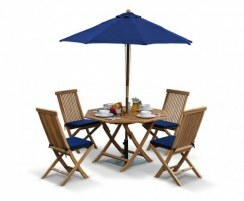 Why not complete the set with the addition of a parasol and cushions (not included, available to buy separately).